HFO Investment Real Estate (HFO) is pleased to announce the sale of the 18-unit Hollyhurst Apartments. Built in 1960, the vintage property traded for $2.75 million, or approximately $152,777 per unit. 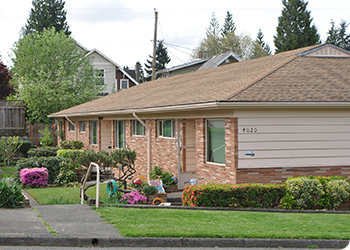 Hollyhurst is a low-density property, located off SE Holgate and SE 39th in the Woodstock neighborhood. The property is pleasantly landscaped; units have front and back entrances. All apartments were most recently updated in 2008. Every project has a story, and Hollyhurst is no exception. This property was managed for occupancy—not income. With our laser-focus and deep understanding of the Portland market, the HFO team was able to find qualified investors and garner a double-digit number of offers using our ability to share our market knowledge with potential buyers. In the end, the owner accepted a contingent-free offer that came in above list price. Both buyer and seller are Portland-based and currently own other multifamily properties in metro area. HFO represented the parties in the transaction.